I never thought I’d like skiing – I’m not hugely sporty and I can’t stand being cold – so it wasn’t until my late 20s that I was finally convinced to give it a go. And unexpectedly I loved it. The feeling of freedom as I finally mastered parallel turns and made it down to the bottom of the piste without falling over. The gorgeous mountain scenery, with log cabins fringed with icicles and fir trees laden with snow drifts. The feeling of relief when you get your boots off at the end of the day and you’re settled in front of a log fire with a glass of mulled wine. I was converted, and have been back again and again since. My first ski trip was to Méribel-Mottaret in the French Alps, and I loved it there so much that I’ve been back twice since then. 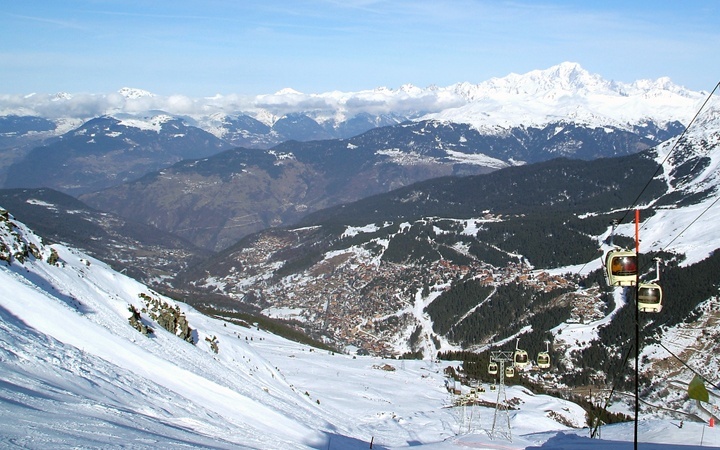 It’s part of the huge Three Valleys ski area, one of the largest in the world with over 600km of pistes and eight resorts, including famous names like Courchevel and Val Thorens. But Mottaret itself is more village than mega-resort. It’s connected to more well-known Méribel, but is located further up the mountain and despite being purpose-built it has a quieter, more villagey feel. At 1750 metres it’s one of the highest resorts in the Alps so you’re almost guaranteed good snow. 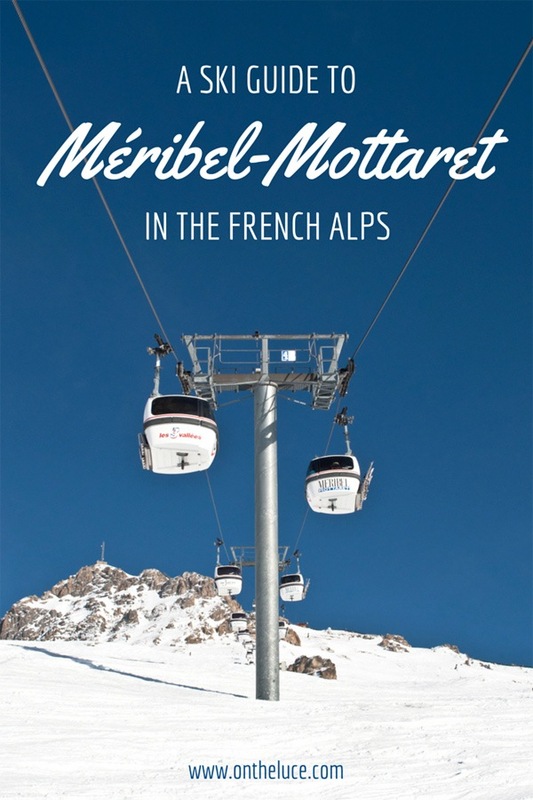 But it’s not as well known as its neighbours, and as it usually gets lumped in with Méribel it can be hard to find information about Mottaret itself. So I thought I would share my guide to a ski holiday to Mottaret, both on and off the pistes. 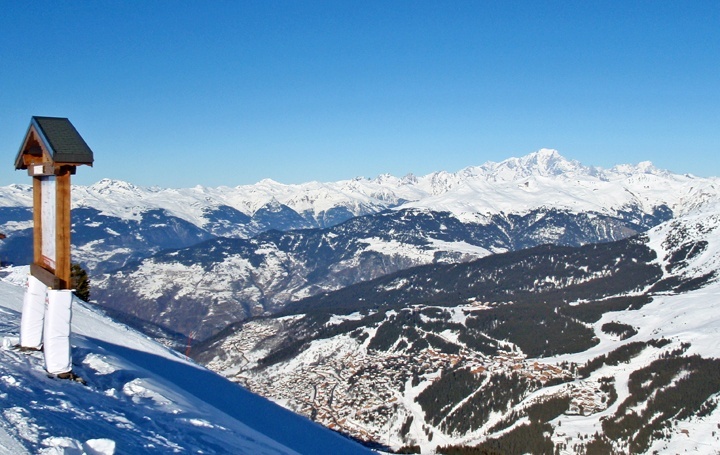 The Méribel Valley, with Mottaret at the top, has around 150km of pistes of its own, as well as access to all the other resorts in the Three Valleys. For the 2017–2018 season, a lift pass for the Méribel Valley costs €52 for one day or €249 for six days. Or a pass for the whole Three Valleys costs €61 for one day or €300 for six days. 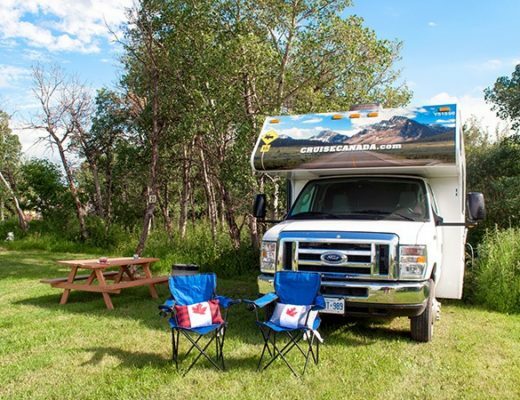 There are reduced prices at the start and end of the season, and discounts for children under 13, seniors over 65, groups of two or three, or for families (two parents and two children). 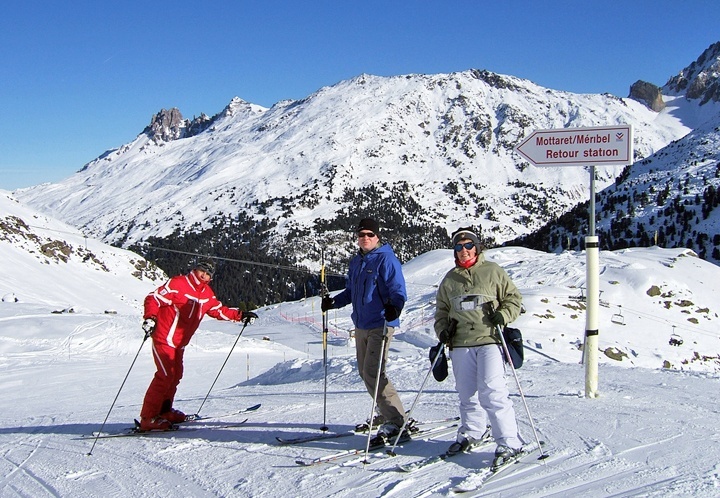 Beginners… If you’re new to skiing, Mottaret has an ESF ski school which runs group and individual lessons. Group lessons last 2.5 hours each morning (or afternoons during peak season) and cost €205 for five days for adults. There are a couple of nursery slopes to practice your skills on in Mottaret, but when you’ve got the basics you can head down the green Truite piste to Méribel. A good place to practice is the Altiport area above Méribel (accessed via the Rhodos gondola). It’s a golf course in summer so has gentle, wide slopes, and has an airstrip at the bottom so you might spot a plane landing as you ski. 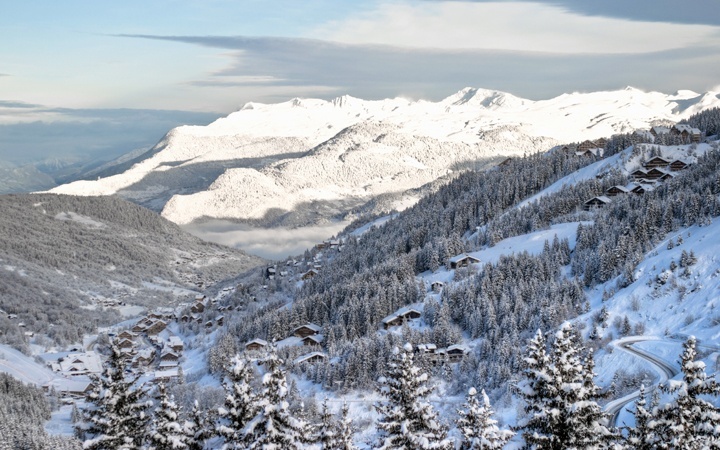 Intermediates… Once you’re feeling confident there are a huge range of pistes to choose from – the Three Valleys is made up of almost 80% blue and red runs. The Plattières gondola from Mottaret leads to a good run of blues back down to the village from its second stop, or you can go on to the third stop and down the other side of the mountain, following blues and greens to Les Menuires. If you’re a bit more advanced, the Jerusalem piste (access via Méribel’s Tougnette lifts) is rated one of the world’s top ten red runs, and takes you down to the traditional Savoyarde village of St-Martin-de-Belleville. Experts… Advanced skiers have the whole of the Three Valleys to choose from. 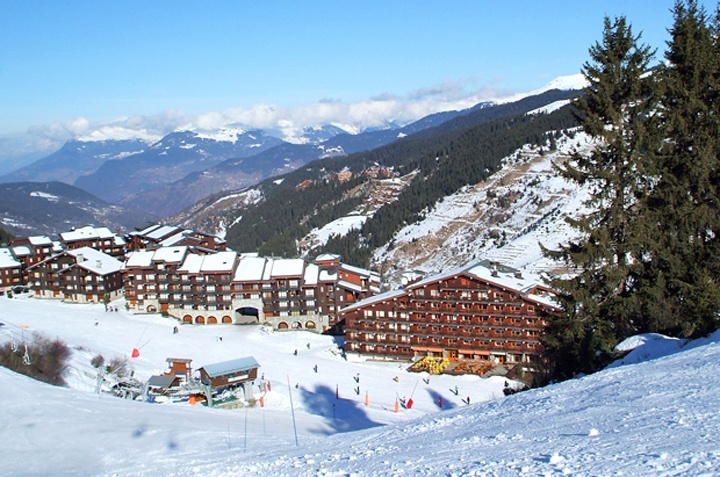 There are a few black runs – including the Face piste which was used as the women’s downhill run for the 1992 Olympics (access via the Olympic lift) and the Couloir Tournier piste, a steep run beneath the Saulire Express lift which has a video camera installed so you can watch yourself later on. The two red runs from the top of Mont Vallon are long and steep, and often have a lot of moguls. This area also has some good off-piste skiing. Or if you’re more interested in perfecting your tricks, there’s a snow park above Mottaret. If you don’t want to ski – or need a day off to recover – there are plenty of other things to do in Mottaret, involving varying levels of exertion. At the far end of the village there’s an undeveloped patch of the mountains that’s been left as a nature reserve – the Plan de la Tuéda. You can walk through the forest and around the lake, an incredibly peaceful route that’s usually almost empty with sound muffled by the snow. If you want to go further into the reserve you can follow the cross-country ski tracks, or take a snowshoeing class where you get lessons in the mountains’ environment and culture as you walk. You can hire or buy a sledge in Mottaret, or for something a bit more extreme there’s a night-time sledge run down to Méribel on Tuesday evenings. It follows the green Truite piste, but feels a lot steeper on a sledge in the dark! You’re kitted up with crash helmets and glow sticks and followed down by ski instructors to pick up any stragglers. Méribel itself has more things to do, including an ice rink, bowling alley and swimming pool. There’s a walking path between Méribel and Mottaret, taking about half an hour. 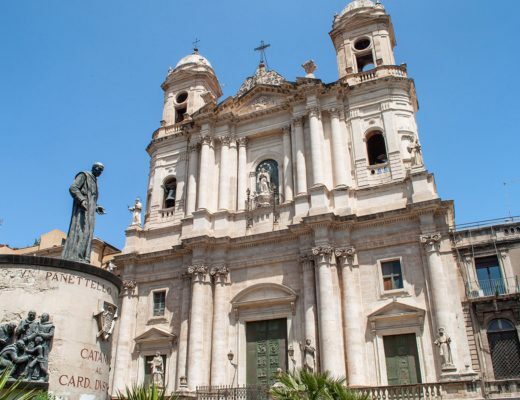 Or there is a free shuttle bus between the two every 20–35 minutes from 7.30am to 11.50pm. For lunch with a view, one of my favourite spots is Le Chardonnet restaurant on the slopes above Mottaret. It’s near the Pas du Lac gondola’s first stop, so non-skiers can take the lift up and walk over too. 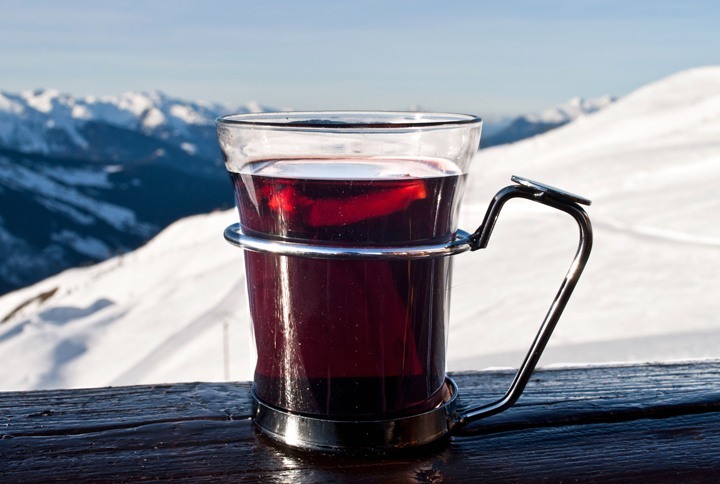 The restaurant has a big wraparound terrace with spectacular views across the Méribel Valley, and rows of deckchairs outside for a bit of sunbathing with a vin chaud before you get back on the slopes. Down in Mottaret itself there are about 15 restaurants. 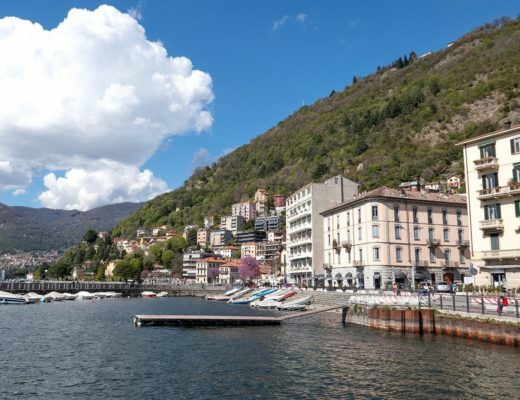 Good options include the Pizzeria du Mottaret for pizza and pasta dishes, Au Temps Perdu for sweet and savory crèpes, and La Belle Savioe for local Savoyarde dishes like fondues and raclette. Mottaret is no where near as much of a party resort as Méribel, so if you want a big night out you’re better off heading down the valley. There are a couple of bars in Mottaret though, like Downtown Bar and Le Rastro, where they have Tuesday night rock parties (though book a table for dinner if you want a prime spot on one for the dancing later!). If you’re self catering, or want to pick up some supplies to make a packed lunch, there are a couple of small supermarkets in Mottaret (Sherpa and 8 à Huit). There are picnic spots by a lot of the lift stations up in the mountains; the one at the bottom of Altiport is a nice sunny, sheltered spot. Being a fairly small resort, most of the accommodation in Mottaret is either ski-in ski-out or just a few minutes’ walk from the piste. There are a range of options, from hotels and chalets to self catering apartments. For groups, renting a whole chalet can be a good option. We stayed in 14-person Freeride Lodge on our last trip, a catered chalet where breakfast, afternoon tea, dinner and local wine is all included in the price (starts at £260 per person for a week). Situated in the Chatelet area of Mottaret, it’s up on a hill so you get fantastic views down the valley. You can’t ski right to the door but it’s only a short walk (or you can take the Chalets gondola straight onto the Truite piste). 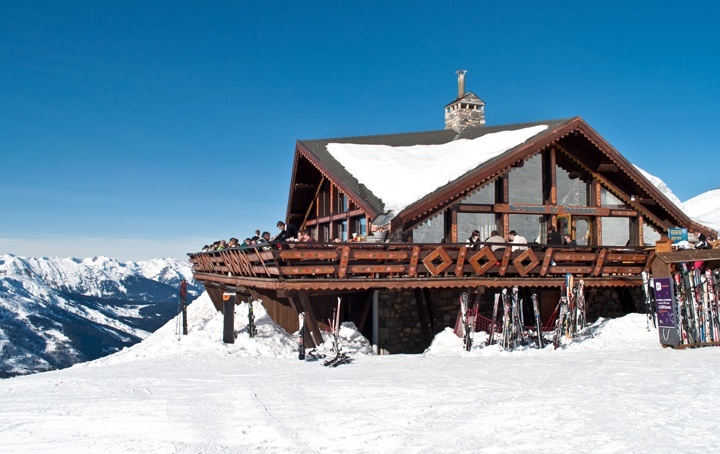 If you’re in a smaller group there are lots of ski companies offering rooms in shared chalets. Or another option is a chalet hotel. You still get your meals provided but they tend to be bigger, so you don’t have to worry about being stuck in a confined space with people you don’t know, with extra facilities like spas or crèches. Run by the Mark Warner holiday chain, Chalet-Hotel Tarentaise is right on the edge of the Furet piste on the way into Mottaret and prices start at about £749 per person per week, including flights. If you’re on a budget, the Les Sentiers De Tueda self-catering apartments, owned by the French Pierre & Vacances holiday chain, are a good option. They’re right in the centre of Mottaret and you can ski up to the door. 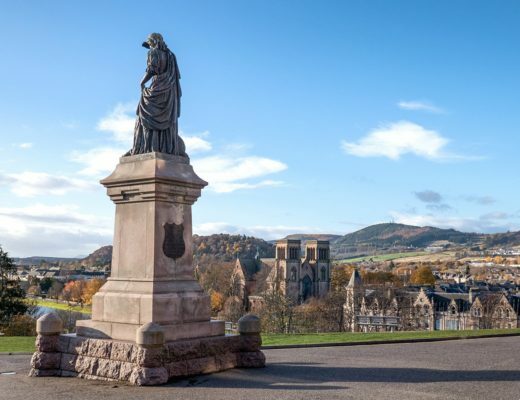 The cheapest option is a studio sleeping four (two sofa beds and bunks) which starts at £380 a week, but there are also one-bedroom apartments. The apartments are pretty compact but come with small kitchenettes (with hot plates, microwave, dishwasher and fridge) and their own balcony. 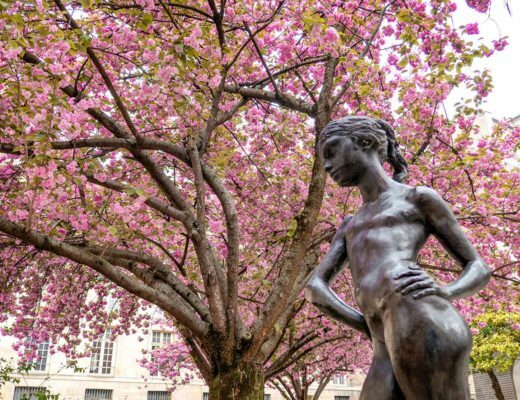 The nearest airport is at Chambéry (59 miles away), but only a couple of airlines fly there, so you’re usually better off flying into Geneva (83 miles away). From there a shared bus transfer takes 3 hours and costs £69 per person return. 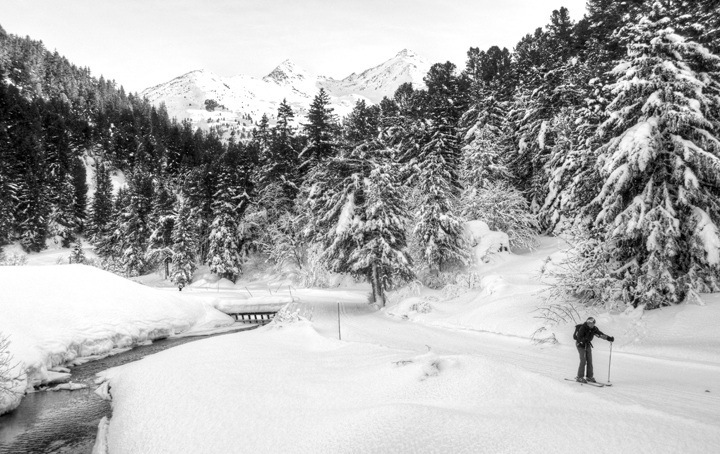 By train from the UK the easiest route is the Ski Train from London to Moutiers (9 hours 30 mins, from £149 return), but it only runs on Saturdays and gets booked up early. 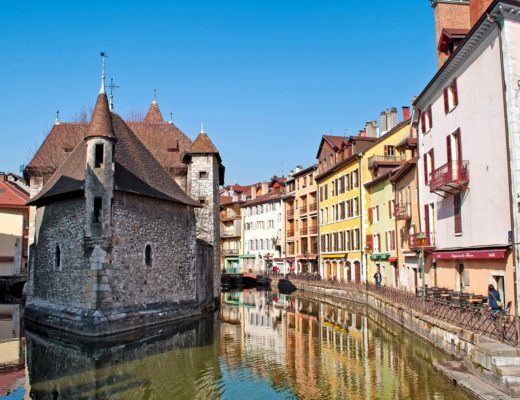 Otherwise you can take the Eurostar to Paris (2 hours 20 mins, from £69 return) and either a daytime or overnight train from there to Moutiers. From Moutiers it’s a €12 bus or €70 taxi ride up into the mountains. Not a bad view from my balcony was it! No snow here in England this year so far either, just rain, definitely not as pretty! These photos are gorgeous, now I wish I were up a beautiful mountain! Me too, writing this has made me wish I were going on a ski trip this year! This blog is excellent! I’ve just moved to the UK and am loving all these excellent and relevant tips! Thank you! 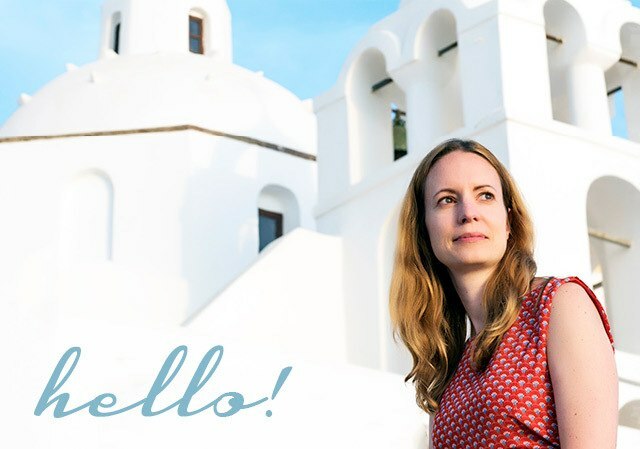 Thanks, and I hope you enjoy your time in the UK – so much to see here and in Europe it should keep you busy for a good while! I also used to hate winter and being cold – until I learned to snow board. Now I look forward to winter (I still look forward to summer just a little bit more though). Thanks for sharing! I do love winter trips and the snow but think I’m with you on looking forward to summer even more! I must confess that I m not very fond of skying. But with your blog and your pictures, who knows? The beautiful scenery and great food and drink definitely makes the trip for me, so you don’t necessarily need to do the skiing! Thanks Lucy for a great post. This is really comprehensive! I’ve just spent an amazing week in Mottaret and would highly recommend it to anyone wanting to ski the Three Valleys. As Lucy rightly says, the village is really quiet and has a nice traditional feel to it. Many apartments are ski-in/ski-out; the rest are just a short walk from the slopes. Perfect! Wherever you want to go in the 3V, Mottaret gives you unbeatable access to it. Up the Pas du Lac and you’re into Courchevel. Up the Plattieres and you’re into Val Thorens and the Belleville Valley. Or just head down the Truite green run and you’re in the heart of Meribel Centre. Amazing. Thank you – I have such a soft spot for this area as being the place I learned to ski, and I was definitely spoilt with the easy ski in ski out.